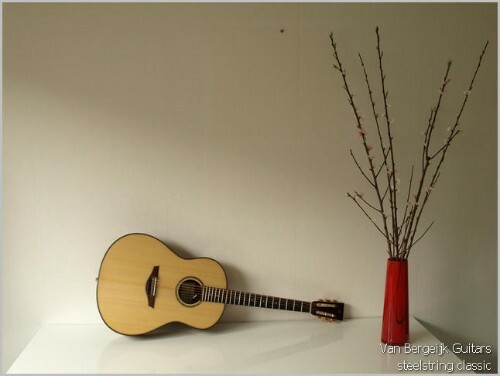 The first steel string model I ever made was the classic model. A bit larger than the classical guitar, but the same shape. The top is not 100% flat. 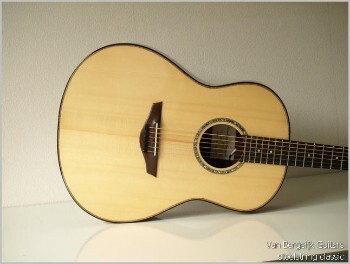 I make this model in a 12th fret or 14th fret body joint. 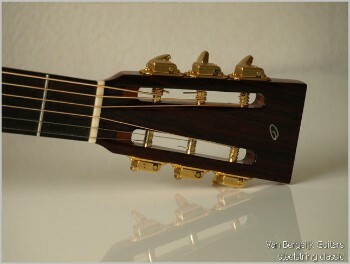 Headstock is in this case a traditional Martin slotted style. As you will see on my website I use both traditional and original headstocks designs. I use cedar or spruce for the top, for the back and sides I prefer rosewood or mahogany. But feel free to ask for other the woods.